Candy is dandy but liquor is quicker! Paired together, you’re looking at some seriously dandy quickness –- some kind of double super buzz. 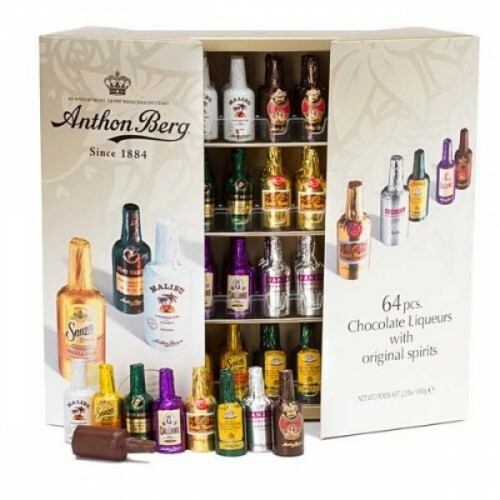 It’s bottoms up with this gargantuan 64-piece set of liqueur filled dark chocolate bottles -– a veritable candy bar (not to be confused with candy bars). Slake your sugar thirst this holiday season with this unique assortment of delicious liqueur treats wrapped in bright, metallic foils!